Are you an employer looking to hire a qualified foreign worker? Are you a foreign national interested in working or living in the U.S.? The Law Offices of Eli M. Kantor can help. Our Motto is: Never Say I Can't. We fight for your right to live and work where you want. Located in the heart of the golden triangle in Beverly Hills, California, with over 40 years of experience, the Law Offices of Eli M. Kantor has the expertise, connections, reputation and resources to help individuals, families, investors, studios, entertainers, small businesses and corporate clients navigate the complex maze of immigration regulations, employment laws and dramatic changes under the Trump Administration. We help clients in the Los Angeles area and worldwide.We provide value and deliver prompt results. In short, we get the job done. 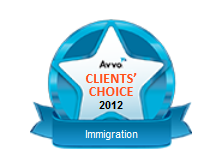 When you need Immigration help, use the Law Firm that the stars use for O-1 Visas and green cards. This website provides valuable general information. However, it does not provide legal advice. For questions about the specific facts of your particular case, Call us now at (310) 274-8216 to see how we can help you. 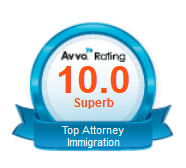 We specialize in business and employment immigration, representing employers that wish to obtain H-1B work visas for highly skilled foreign-born workers; L-1 visas to transfer employees to their US offices, and Alien Labor Certification (PERM) – green cards. We also work in the entertainment industry, obtaining O-1 visas for foreign entertainers to work on motion pictures. We bring family members together by helping them obtain green cards. The information that you obtain on our website is not, nor is it intended to be legal advice. You should consult with an attorney for advice regarding your specific individual situation. We invite you to contact us and welcome your calls, letters and electronic mail. However, contacting us does not create an attorney-client relationship. Please do not send any confidential information to us until such time as an attorney-client relationship has been established. An attorney-client relationship with our law firm can be created only through a written attorney-client engagement letter signed by both you and one of our partners. The testimonials or endorsements do not constitute a guarantee, warranty, or prediction regarding the outcome of your legal matter.